Sony has confirmed that the Ice Cream Sandwich update for its flagship Xperia S handset has begun winging its way to handsets. Users can expect the usual Android 4.0 updates including a new lock screen, updated settings menu, new multi-tasking controls and more. However Sony has added extra features to its Ice Cream Sandwich upgrade, allowing users to do things such as viewing the notification area from the lock screen. There are new media apps on their way to the Xperia S as well, with Walkman, Album and Movies all set to make an appearance. Walkman integrates Sony's audio technology and social networking features to produce an app which lets you discover and share music with your friends. The Album app offers a new way to browse and share the photos and videos on your handset, and Movies offers up a video player app which will also search for other details surrounding the film you are watching. You'll be able to grab the 200MB update over the air using Wi-Fi or your cellular network, or if you prefer a more traditional way of doing things you can also connect the Xperia S to your computer and upgrade that way. It will take a few weeks for the update to reach every handset, so if you haven't got it yet, don't worry and stay strong. 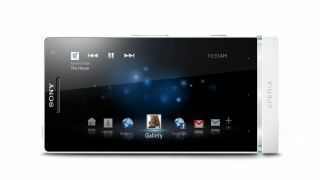 Sony has also put together a handy little video, showing off the new things you can expect to see on your Xperia S when Ice Cream Sandwich shows up.